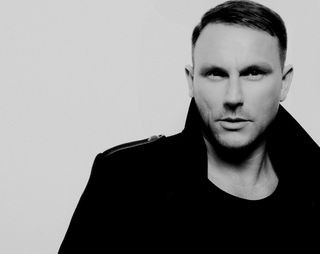 Mark Knight’s latest outing on Toolroom Records is a feel-good track that harks back to those glorious days when house was house, and nothing more. These days, the word ‘house’ is more often than not accompanied by a qualifier: is it ‘tech’, ‘deep’, ‘future’ or one of another dozen or so sub-genres that seek to further categorise a style of music that frankly could do without it. Step forward Mark Knight to deliver ‘Yebisah’: a record that is house music, pure and simple, timed to put a smile on the faces of thousands of clubbers all around the world, not least of all in Ibiza. "Back in the day, Ibiza was about house, not tech house, techno, minimal or bass music,” says Mark. “That’s why people used to congregate there. I just wanted to write a solid, uplifting house record that DJs could play peak time or at the end of their set. “Ibiza has been instrumental in my DJing career and as an artist and this record is an ode to the most magical island on the planet. It’s a house cut that I hope a lot of DJs will love and recognise why it’s perfect to be played on the island." Its is just not about the music or the instruments. Its is about the connectivity and a bond between two unknown people.